This paper focuses on the entrepreneurial ecosystem as a set of interdependent and coordinated factors in a territory enabling entrepreneurship. To date, academic research has failed to produce methodologies for evaluating and comparing entrepreneurial ecosystems from different perspectives that can highlight the underlying factors. Moreover, there is a lack of empirical analysis that discriminates between factors according to their importance. Taking into account these two gaps, the aim of the paper is twofold. First, it proposes the application of an accurate, robust and reliable measurement technique, namely stochastic multicriteria acceptability analysis (SMAA). It considers the variability of weights that can be assigned to the different factors, producing a probabilistic ranking to obtain a comparison among entrepreneurial ecosystems. This ranking is more reliable than a single ranking proposed by the usual composite indices that take into account a single vector of weights. 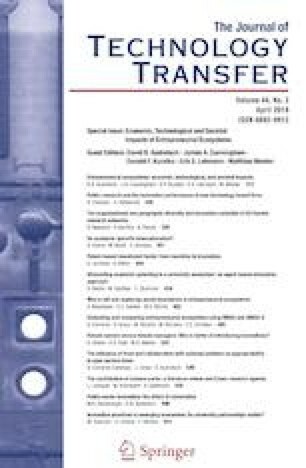 Second, the paper presents a new methodology, SMAA for strategic management analytics and assessment, or SMAA squared (SMAA-S), which detects the relation between entrepreneurial ecosystem factors and growth-oriented start-ups in a territory. The results show that the most relevant entrepreneurial ecosystem factors enabling the birth and activity of high-growth start-ups, and so impacting on technology, economy and society, can be identified in cultural and social norms, government programs, and internal market dynamics. GEM. (2017). Global report 2016/2017. http://www.gemconsortium.org/report/49812. Accessed 3 Apr 2017. Jha, S. (2008). Trade, institutions and religious tolerance: Evidence from India. Stanford University Research Paper, no. 2004. https://papers.ssrn.com/sol3/papers.cfm?abstract_id=948734. Accessed 10 July 2017.